A wealth of mystical shapes appeared in a cloth I dyed and begged me to trace them in stitch. ​Magical Kingdom is a further piece in my series exploring ice-dyed cotton. 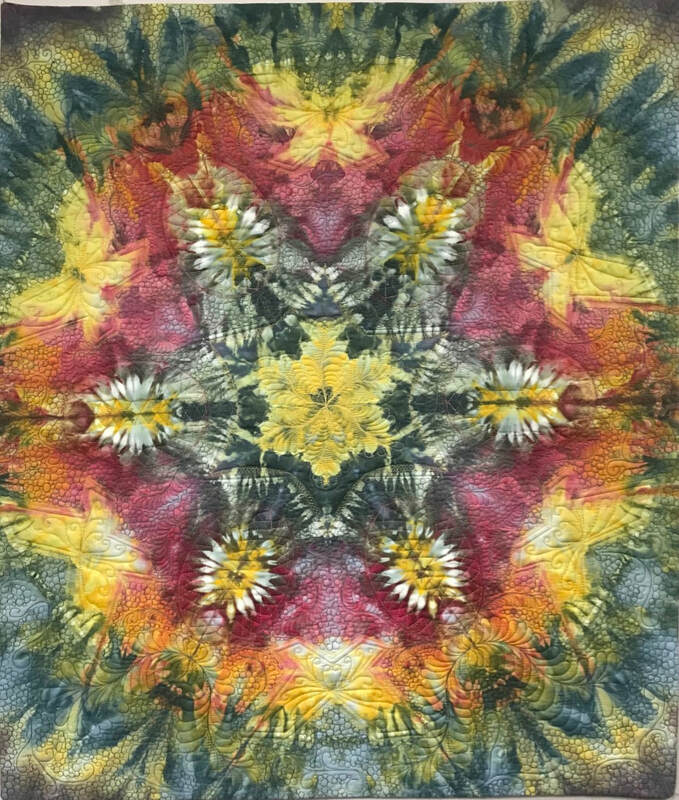 The Pimatex cotton was initially folded to create a mandala which is a spiritual and ritual symbol in Hinduism and Buddhism, representing the universe. However the term has come to mean a diagram, chart or geometric pattern to represent a microcosm of the universe. In this piece of newly dyed fabric I ‘saw’ a microcosm of the inhabitants of the forest. There were butterflies and other creatures living amongst the beautiful foliage.